It’s almost two years since I quit my job, got rid of everything, and started travelling. My need to see the world was overwhelming, I really had no choice. I spent almost all of this year, and last, on the road and it has been amazing. I can’t wait to do more of it in 2016 and share the fun with you. Everywhere I went I had my camera and was taking photos. Below are my favorite travel photos, the ones that best show my perspective on the things I love. I hope they make you want to go experience the magic of these places for yourself. 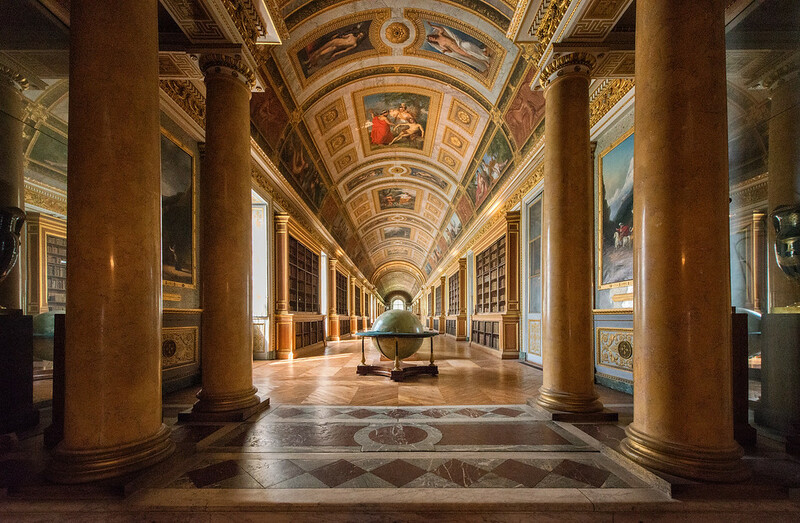 Fontainebleau is an amazing palace near Paris. It was the residence of French monarchs and is now a Unesco world heritage site. It is has great gardens, impressive stone work, murals, and many old books. The love of the great author Dante for Beatrice is legendary. 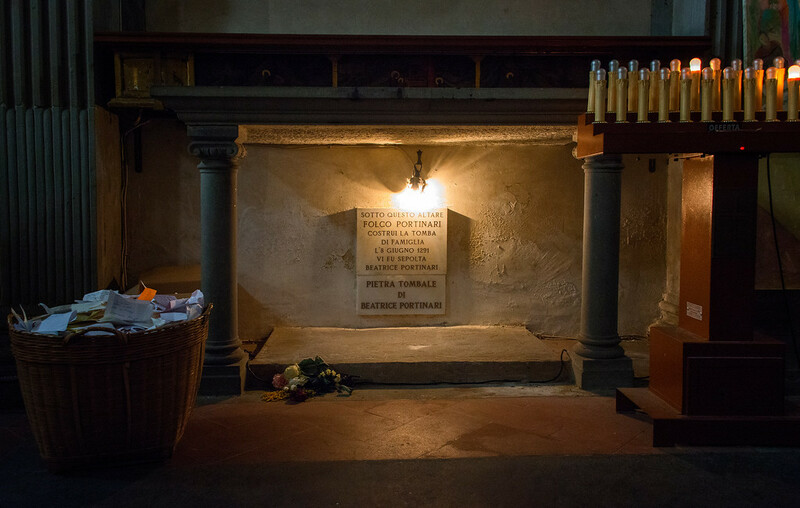 In a basket near her grave lovers leave notes asking her to protect their love. In 2015 I took it slow. I only visited seven countries, but in depth, often spending a month or two in a place. I spent time in France, Italy, Spain, Gibraltar (UK), Thailand, Cambodia, Malaysia, visited more than 65 cities, and experienced about as many hotel rooms. This is mostly from being in a different city every day while walking for five weeks to complete. Every year in Phuket Thailand an amazing festival occurs. There are constant fireworks, beautiful costumes, people possessed, and displays of ritual pain. For more information check out my post about the Phuket Vegetarian Festival. Along the Camino Santiago in Spain, rising above the beautiful town of Burgos is the amazing, Unesco heritage, gothic Burgos cathedral began in 1221. The cathedral is also the final resting place of the Spanish warrior ‘El Cid’. Check out the full Camino Santiago photo gallery. One day while walking the Camino Santiago in Spain I managed to go 34 miles (55km). I was in the groove that day, but completely exhausted the next. The Camino was hard work but the people and sites touched my spirit and will never be forgotten. 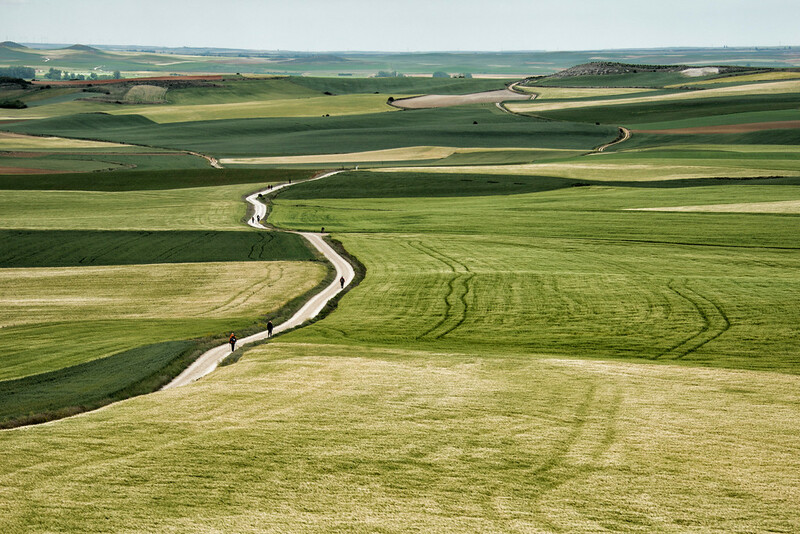 The Camino Santiago runs 750km (500 miles) through Spanish farms, mountains, and forests. One can always find a Pilgrim waking early and walking all day to the horizon, then joining other pilgrims for a community meal and night’s rest. I carried a heavy camera there for five weeks but it was worth it. 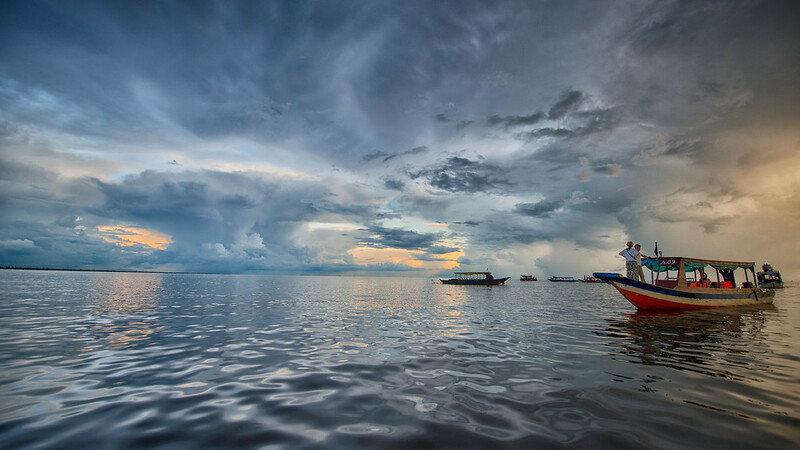 Thailand is a place with so many kind people, beautiful temples, and amazing scenery. You can see some of that spirituality and joy of life in this photo. 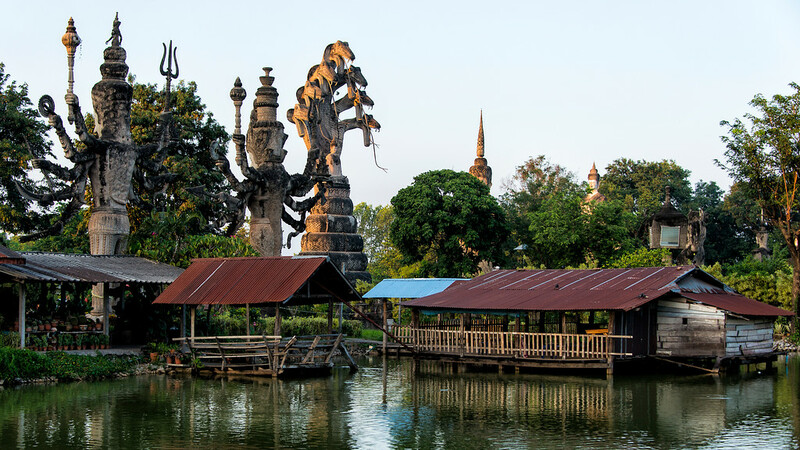 In the North of Thailand a Mystic created a magical park full of massive and strange sculptures based on Buddhist stories. Check out my blog post about the magic Naga of Nong Khai. The ancient Khmer temple of Angkor Wat still feels like the center of Cambodian culture and is a pilgrimage place for monks and tourists alike. The area is filled with many mysterious jungle temples and it was one of the highlights of this year’s travels. Near Angkor Wat is a huge lake. This picture was taken at sunset just after a lightening storm. 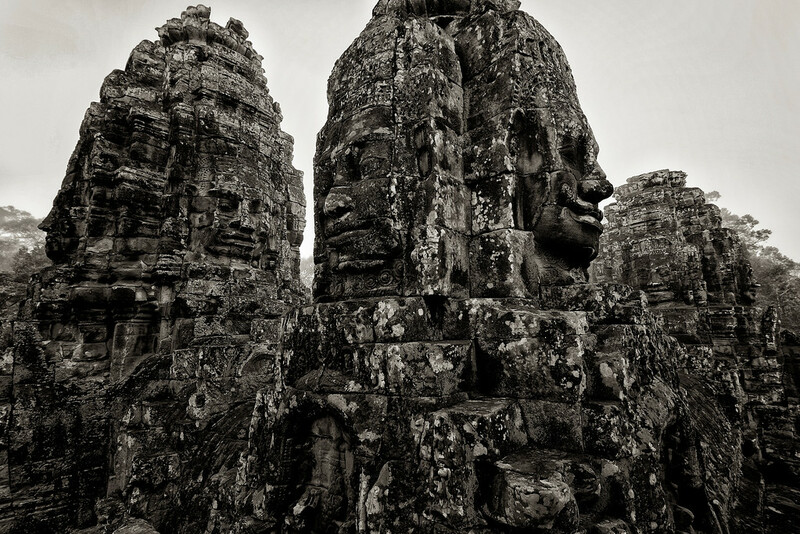 Stone faces at The Bayon watch over Angkor Thom; timeless, yet aging and overrun by jungle in such a beautiful way. 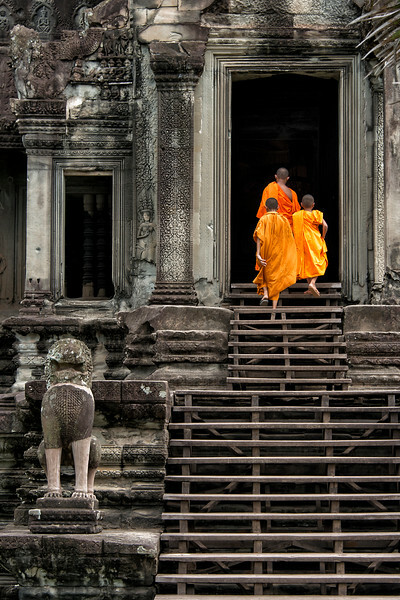 Read about how I approached photographing Angkor Wat. 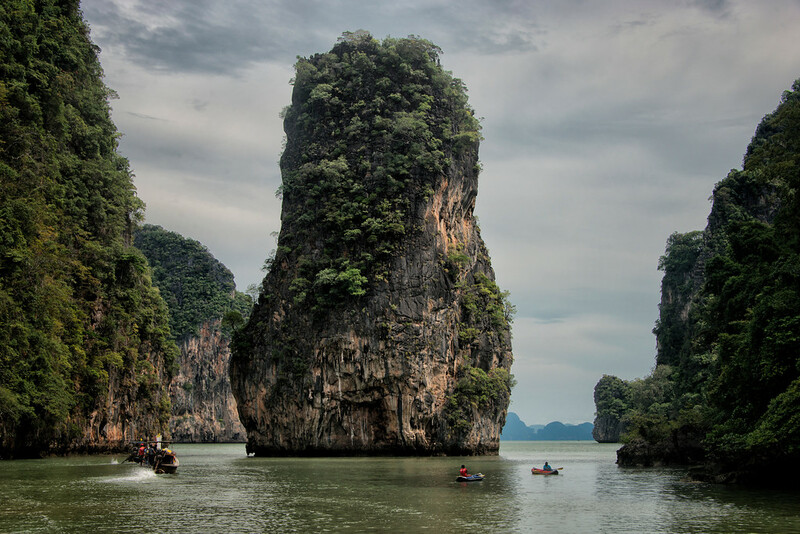 The Andaman Sea is filled with strangely shaped karst islands and hidden beaches and tunnels. It’s a great place to snorkel, kayak, or just ride around and take photos. 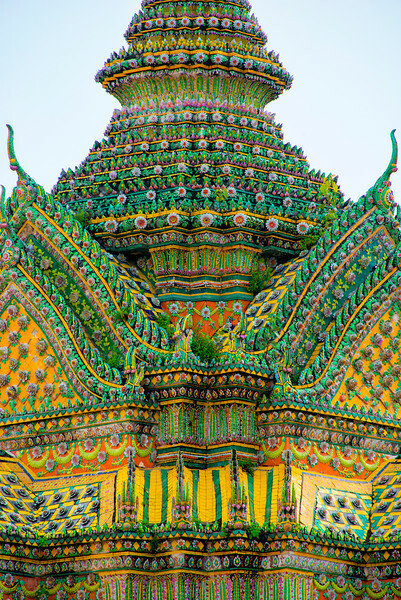 Wat Pho is famous for it’s giant reclining Buddha, but I found joy in it’s many ornate towers. 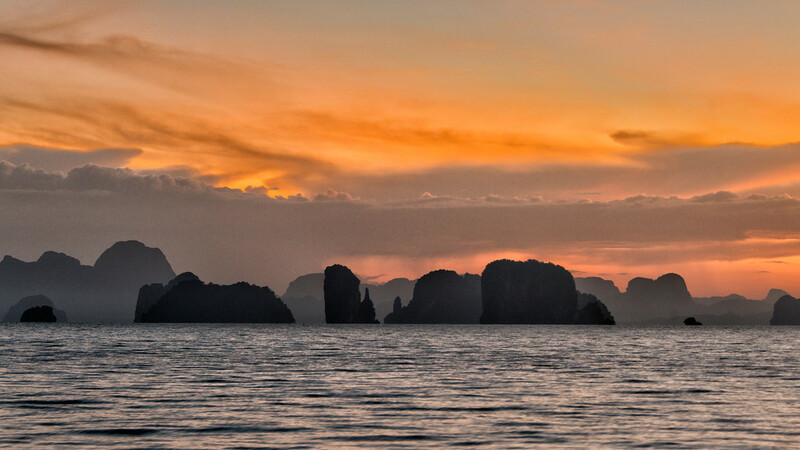 The many limestone karst islands of the Andaman Sea look beautiful at sunrise, during rainstorms, as boats pass, and pretty much all the time. I just got a room with this view and stayed a couple weeks to see them in their many moods. On 123 days of the year I was out shooting photos and I took over 19,000. I shared about 1,000 of those on my Facebook pages. I feel like I’ve become a better travel photographer this year by focusing on simple subjects, taking more photos of people, and by recognizing that what seems commonplace in one location is unique and special to someone far away. 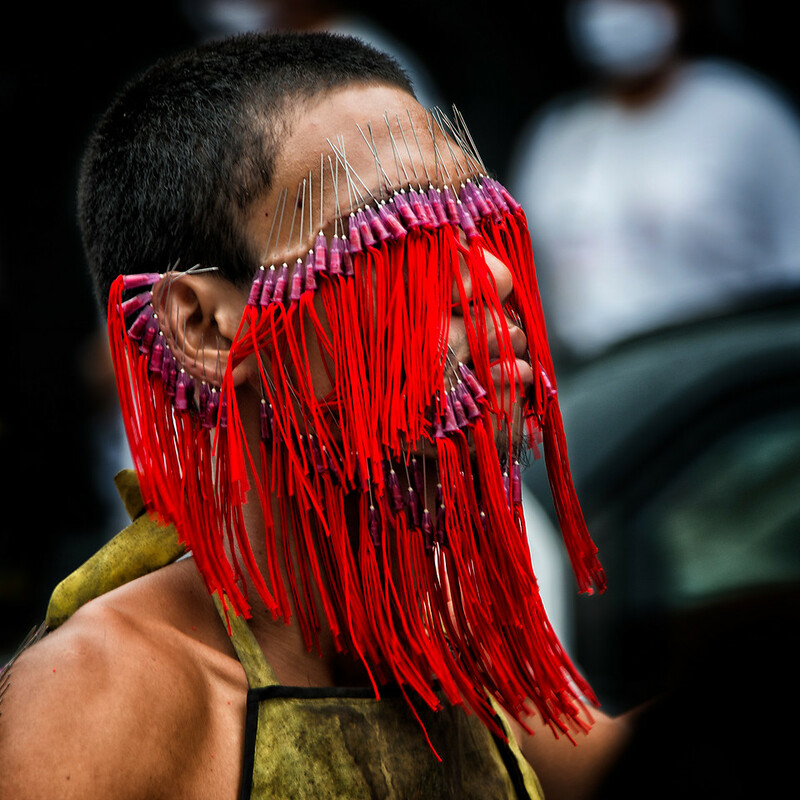 That last one really hit home when I was excitedly running around the Phuket Vegetarian Festival where men were had put swords through their cheeks, and the local Thai people where just hanging back unimpressed because they’d seen this parade every year since they were kids. This year I also enjoyed walking in Monet’s Garden in Giverny, finishing my quest to visit every Disneyland, looking over to Africa from the Rock of Gibraltar, seeing my favorite works of art at the Prado, Louvre, Uffizi, d’Orsay museums, and visiting The Sagrada Familia, Alhambra, and Angkor Wat. I managed to get by pretty cheaply, not backpacker cheap, but good enough. My average cost for a room was $23, which is about the same as I spent on food each day. Planes, trains, entrance tickets, and camera stuff where my next biggest expenses. It’s a balance trying to spend less so I can travel more, and staying comfortable enough to enjoy myself while I do it. Fantastic photos! I appreciated the short commentary about each one. This helped me to see your journey in connection to the photo.